Canadian pianist André Laplante is firmly established as one of the great romantic virtuosos. He garnered international attention after winning prizes at the Geneva and Sydney International Piano Competitions, then capturing the silver medal at the International Tchaikovsky Competition in Moscow. 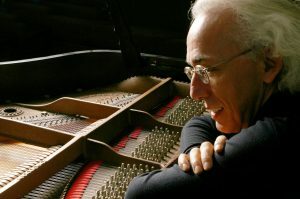 Critics have compared him with Ashkenazy, Horowitz and Rudolph Serkin, placing him in the elite circle of virtuoso pianists who do not hesitate to take risks. In demand for his artistry as a concerto soloist, recitalist and for chamber music programming as well, Mr. Laplante has a busy schedule beyond his work in the recording studio. Recent engagements have included concerto appearances with the symphonies of Montreal, Winnipeg, Quebec, Rochester, New Jersey and Toronto, with which he made a tour under the baton of Peter Oundjian. He has also appeared with the Czech Philharmonic Orchestra at Carnegie Hall and Kennedy Center, the Minnesota Orchestra conducted by Sir Neville Mariner, on tour in Europe with the Toronto Symphony under Andrew Davis and with the Royal Philharmonic under the baton of the late Sir Yehudi Menuhin during their extensive North American tour. Mr. Laplante performed with the Dewan Filharmonik Petronas in Malaysia as well as a critically acclaimed appearance with orchestra and quartet in an all-French Festival with the Buffalo Philharmonic. With his acclaimed colleagues, violinist Mayumi Seiler and cellist Colin Carr, André Laplante has formed the Laplante-Seiler-Carr Trio. The ensemble will make its debut summer festival tour in 2019 followed by engagements at the Musee des Beaux-Arts de Montréal and Calgary Pro Musica in the fall. In addition to his trio, he has collaborated with acclaimed artists such as cellist Matt Haimovitz, violinist Augustin Dumay, and the New York Chamber Soloists for the Trout Quintet at the Minnesota Beethoven Festival, among many other chamber music engagements. 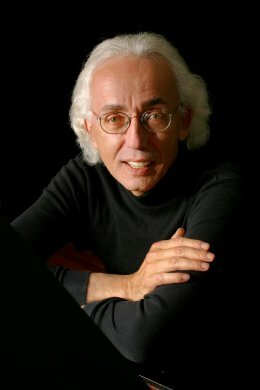 Recent seasons have also included recital tours of the Far East, Australia and North America from Vancouver to Orlando, repeated tours in Asia, and appearances at major music festivals, including the Debussy Festival (France), Pecs Festival (Hungary), Orford Festival (Canada), Cascais Festival (Portugal), Salzburg Festival (Austria), Festival International de Lanaudière (Canada), International Summer Festival (Canada), Domaine Forget (Canada), and the TCU-Van Cliburn Institute (USA). Mr. Laplante is a Canadian artist who maintains a commitment to serve the musical life of Canada including work with the wide range of Canadian orchestras. In March 2019, Laplante appears with the Orchestre de Symphonique Trois Rivièrs performing the five Beethoven piano concerto cycle in two concerts. Of his Beethoven #5 with the Toronto Symphony, the Globe and Mail wrote “Many gifted and highly trained virtuosi can manage the Emperor Concerto, but few can fulfill it with the lofty command and perfect discretion of Laplante.” The noted American-Swiss conductor Stephen Smith will be on the podium. André Laplante has served as a juror of the Tchaikovsky International Piano Competition, the International Music Festival in Australia, the CBC National Competition, the Honens International Piano Competition, and the William Kapell International Piano Competition. An active recording artist, André Laplante’s releases on the Analekta label include works by Ravel and Rachmaninov, an award-winning Brahms album (Félix 1996), and a Liszt recording (Félix 1995) which was voted best solo classical album of the year by the Toronto Star. He has also recorded for CBC and Melodia: his performance of Jacques Hetu’s Piano Concerto No. 2 for CBC Records won the 2004 Juno award for orchestral recordings, as well as the Western Canadian Music Award. His recording of Tchaikovsky No. 1 with Joav Talmi and l’Orchestre Symphonique de Québec, was nominated for the 2001 Felix Award; and in 2010 his recording of Liszt’s Années de Pèlerinage was awarded a Felix Award for Best Classical Solo Album of the Year. In 2005, Mr. Laplante was honored to be named an Officer of the Order of Canada. In that same year, he was awarded the Prix Opus for Best Performer of the Year. In 2010, he received another Prix Opus, for Best Concert of the Year. André Laplante forms a new piano trio: Three internationally acclaimed artists, beloved for their solo and chamber music expertise, will make a debut tour in Canada this summer. Pianist André Laplante, violinist Mayumi Seiler and cellist Colin Carr embark on a July 2019 festival tour. The Laplante Seiler Carr Trio will perform in Canada at the Elora Festival, Westben Festival and the Lachine Chamber Music Fesitval, among others. The summer tour program includes the Ravel Trio and Beethoven’s “Archduke” Trio. Following these opening events, the LSC Trio will perform the three Brahms Trios at the Montreal Museum of Fine Arts Bourgie Hall in the fall of 2019. Contact us for more information and bookings.